The Howling Wolf Metal Art piece captures the stance of a Wolf howling perfectly. 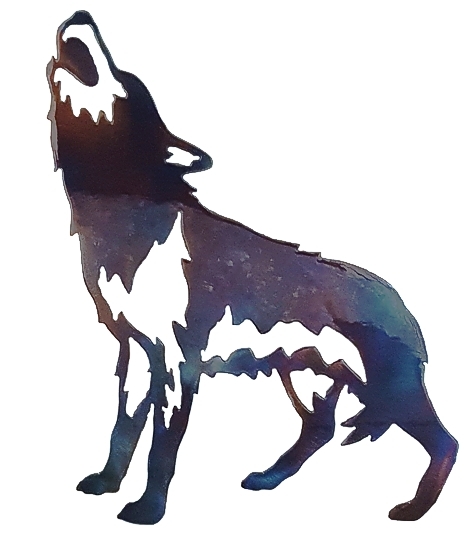 This magnificent Wolf metal art is handcrafted in the USA out of steel. It is heated to bring out the unique colors and is powdered coated for a smooth gloss finish. This would make a nice addition to your wolf home decor or a lovely gift for an animal lover.